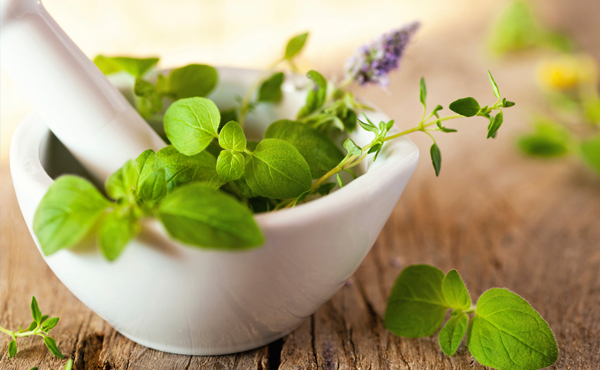 Holistic healing with plant medicines is far from a new practice, yet it’s become increasingly sought after as Health Care Practitioners recognize its value. Choosing herbalist training means creating a career you love that will benefit the wellness of others, provide lifelong learning opportunities, and a wide variety of ways to serve in the world. This program includes hands-on herbalism work, including field work in diverse Southwest ecosystems which will allow you to become familiar with local plant life and encourage sustainable wildcrafting practices. You’ll also participate in an externship, including opportunities for community education, supervised clinical intake, retail experience and a research thesis. 30-hours of introductory courses will create the foundation of herbal studies, present the working language of the herbalist, and support discussion of contemporary issues in the field. You will begin cultivating plants, making medicine and identifying local plants. Other lesson topics include traditional Chinese herbals, Ayurveda, plants native to America, endangered plants, earth stewardship, plant chemistry, botanical plant families, herb gardening, studies of medicinal plants and the applications of these for all human body systems. A thorough series of herbal pharmacy and medicine-making lessons are included midway in the course. Field study emphasizes desert botanicals identification and use and includes native uses, plant spirit medicine, flower study, and harvesting. You will also have hands-on, guided intermediate application and experience in seven arenas: herb cultivation, research writing, teaching herbalism in the community, retail work, supervised clinic and botanical pharmacy. The herbalism core is further enhanced with science courses including Pathology, Homeopathy and Biosciences, making the connection between body and earth complete. You’ll receive focused instruction in herbal product formulation, herbs for children, herbs for women and herbal manufacturing practices in courses emphasizing hands-on learning. Completing this program allows you to serve as a professional herbalist and create a productive, enriching, sustainable, successful work life! Completing this program and earning an AOS Degree gives you the framework and experience to become a professional, successful, qualified business person as an Herbalist. You will be introduced to an array of vocational choices after you have completed the program, plus be guided with entrepreneurial and placement support along your journey and continuing after graduation. Click on the “Program Courses” above to see all of the courses in this program! Science courses in both plant and human disciplines build the foundation of expertise in the curriculum while entrepreneurial classes assist you in developing your business during your program. As a graduate of this program, you will be fully supported in our Placement Resources and Entrepreneurial Support Division, Our Success Center. SWIHA Western Herbalism graduates are working as herbal remedy producers, guides for plant exploration hikes, teachers of herbal agriculture, herbal foods chefs, working for naturopathic doctors, writing research papers and journal articles, and are creating educational organizations centered around herbal wisdom. Many self-employed graduates are also working as herbal consultants to private clients and other health professionals. Following your graduation, your professional career in Western Herbalism is fully supported at our Success Center, SWIHA’s Career Placement Resources and Entrepreneurial Support Division. All SWIHA graduates receive life-long job placement assistance, entrepreneurial and career coaching, resume assistance, full licensing support and more. Are you interested in Western Herbalism? We invite you to sit in on the first 4 hours of a real SWIHA class, complimentary and commitment-free! To learn about upcoming opportunities and to reserve your guest pass, call Student Services at 480-994-9244 or click here for details.